Should The Suspect In East Fort Myers, FL Murder Case Turn Himself In? Just days after responding to a call on November 12, 2017 about a double murder in east Fort Myers, Florida, the Lee County Sheriff’s Office have named a suspect. According to a report from online news source News-Press, authorities are asking for help from the public in locating the individual, a 25-year-old man who remains at large. Currently, police are unsure of a motive or relationship between the suspect and his victims. The deceased include a man and woman who had just moved into the home recently and hosted a birthday party days before the double murder. A third victim survived and was taken to a local hospital for treatment. The suspect will face two counts of second degree murder, and aggravated battery charges for the man that he injured – if he’s apprehended. The story raises an important question in Florida criminal defense law: Should you turn yourself in if you’re a suspect in a crime? You’re not legally obligated to turn yourself into police, but there are advantages of surrendering to authorities. In some cases, like the matter involving the Fort Myers double murder, law enforcement will be actively – even aggressively – trying to find you. However, even in a lower profile case where there’s a warrant for your arrest, police may show up at your home, your job, and the places you frequent. Being arrested under these circumstances can be traumatic and humiliating. Surrender may provide grounds for a downward departure under Florida law on mandatory minimum sentencing. A judge may consider certain mitigating factors to reduce a sentence that would otherwise be required. Cooperating with the state to resolve your crimes is one such factor. Plus, you’ll be able to avoid always “looking over your shoulder” for law enforcement ready and willing to arrest you. Bear in mind that criminal charges don’t just go away, unless the statute of limitations has expired. For some offenses, there is no statute of limitations. You could spend the rest of your life running or hiding from police. Even if you do determine that surrender is the best option in your case, you shouldn’t ever turn yourself in without speaking to an attorney first. You do have rights, under the US Constitution and Florida law. When you surrender, you may be subjected to questioning or other investigative tactics that violate your civil rights. You may make statements that incriminate you, and which can be used in court against you. 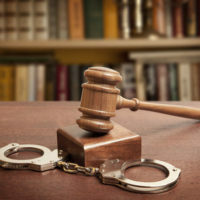 If you’re considering turning yourself in on a crime, please contact the Fort Lauderdale office of attorney Kevin J. Kulik to discuss your options and the details of your case.